This Star Wars Celebration I Poster Lithograph by John Alvin comes from the first Star Wars Celebration, every Star Wars fan's wonderland! Star Wars fans from around the globe come to attend these three-day events to show their love for their favorite series in the galaxy. 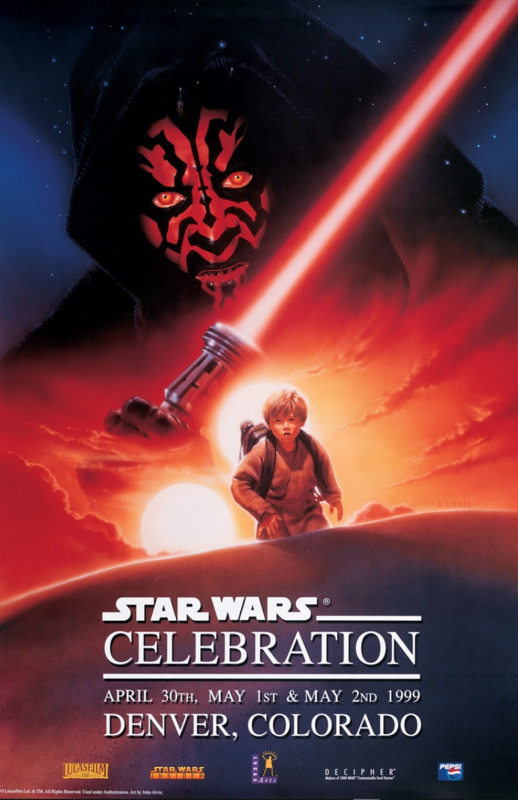 The first SW Celebration took place in 1999, created by Lucasfilm to celebrate the release of Star Wars: Episode I - The Phantom Menace. This inaugural celebration took place in Denver, Colorado and is known as the landmark first Star Wars Celebration. 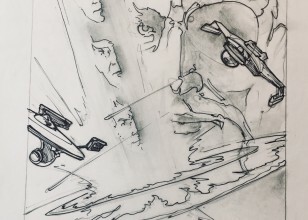 When Lucasfilm needed a poster artist for Star Wars Celebration I, they looked no further than the legendary John Alvin, who had done poster art and concept art for the series before. 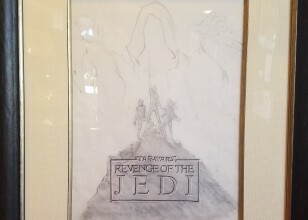 They tasked him with creating a poster that reflected the wonder that all Star Wars fans feel, while promoting the release of the new film. The result is this amazing, iconic poster that big Star Wars fans know instantly. This copy of the poster is signed by John Alvin.